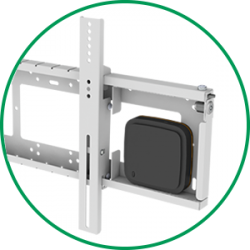 Our Jupiter SFF screen mounts feature an integrated enclosure able to house small PCs and wireless connectivity devices, transforming older screens into simple and cost-effective digital signage / meeting space screens that are able to perform a plethora of tasks outside of the range of normal screens. 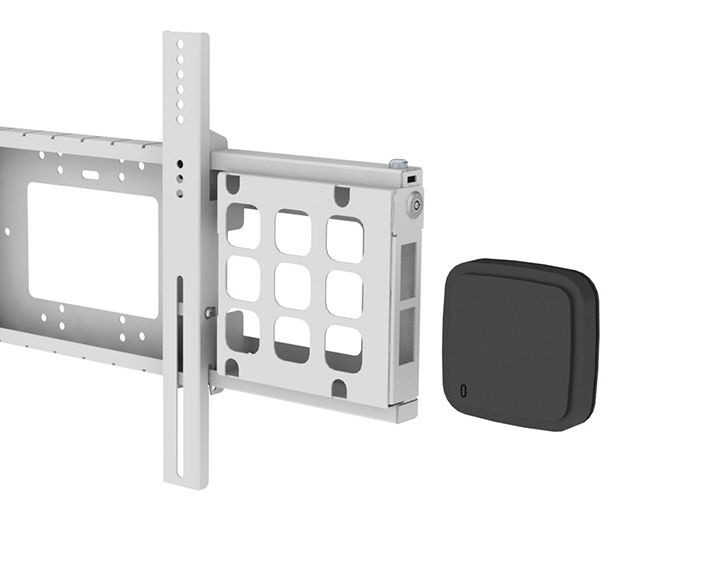 The screen mount it is a light-in-weight mounting bracket that secures heavy screens to the wall. 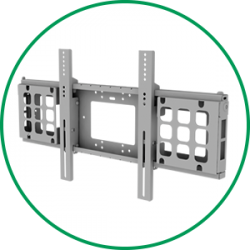 Its versatile arms affix to the mounting holes on the VESA screen mounting holes up to 600×400. As one of the slimmest bracket of our screen mounting range, JUPITER is simple to use and install. Create your own digital signage / SMART screens!